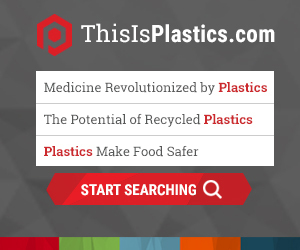 The plastics industry is working to be a part of the infrastructure and recycling solution. While anti-straw campaigns may bring attention to the problem, they are not long-term solutions to significant infrastructure issues, and they create a false sense of accomplishment. The nation has entered a critical time for investment in a new generation of waste management solutions, especially as China and other countries who have been the primary processors of scrap plastic recycling, make significant policy changes that require the U.S. to make new investments. In April 2018, the Plastics Industry Association (PLASTICS) and several partner associations delivered a letter to Capitol Hill calling on the House majority and minority leaders to develop and advance an infrastructure investment package to address the United States’ need for better recycling efforts and innovation. The timely and urgent call for discussion cites recent decisions—and ultimately, disruptors to U.S. recycling programs—by China to reduce or end the importation of scrap material from other nations, coupled with the loss of valuable feedstock for American manufacturing when material that isn’t recycled ends up in landfills. Retrofitting Material Recovery Facilities (MRFs) with advanced sorting equipment that can identify and properly handle a wider range of packaging forms, including flexible film and smaller items made of otherwise recyclable material. Quicker permitting of MRFs, plastics recycling facilities, and conversion technology facilities that create valuable chemicals and energy products. Increased use of recycled material in infrastructure products where appropriate. Broadened use of private activity bonds for recycling projects. Incentive grants for state and local governments to expand curbside recycling options and the range of materials collected. Providing access to curbside recycling to all U.S. residents (less than half of Americans presently have the same level of access to curbside recycling as trash collection) will standardize the types of material that can be and are recovered across the country. Education and training to improve understanding of what is recyclable, and to promote the manufacturing jobs aspect of the recycling process will support American jobs, the U.S. economy and the environment. Those jobs are created when recycling is picked up at the curb, when it's taken to a facility to sort it out into metals, plastics and paper and when those materials are turned into something new. Following up on the letter that was sent to Congress, members of the coalition began drafting language for legislation that could be introduced as a standalone bill or incorporated into a larger infrastructure package. It maintains the principles that were already identified, and our hope is that it will help guide legislators who desire to turn our ideas into law. The legislation would benefit all stakeholders and all material types and show that the federal government is interested in improving our nation’s recycling infrastructure. The resources below outline the status of our current recycling system and how this legislation works.